With a diabetic in our family, I'm always on the lookout for sugar free desserts that are not complicated and that are actually tasty. Our annual trip to the local pick your own Berry Farm each spring has been a fun tradition for the past 15 plus years. I think the kids always eat more than we pay for! I always wondered if they should weigh the kids before and after and make me pay the poundage increase! One of those trips I came across this recipe from the Berry Farm. I've changed it just slightly from the original. From cook type pudding to instant and from stove top cooking to microwave. It is easy to make, and I promise, you won't even know it's sugar free. (well, there is fructose in the strawberries, so it's not totally sugar free, but almost!). In a medium mixing bowl combine pudding and jello powders. Set aside In a microwave save bowl heat water to boiling. Whisk boiling water into the pudding/jello mix and wisk till all powder is blended. Cool in refrigerator until mixture thickens slightly. (Maybe1/2 - 1hour.) 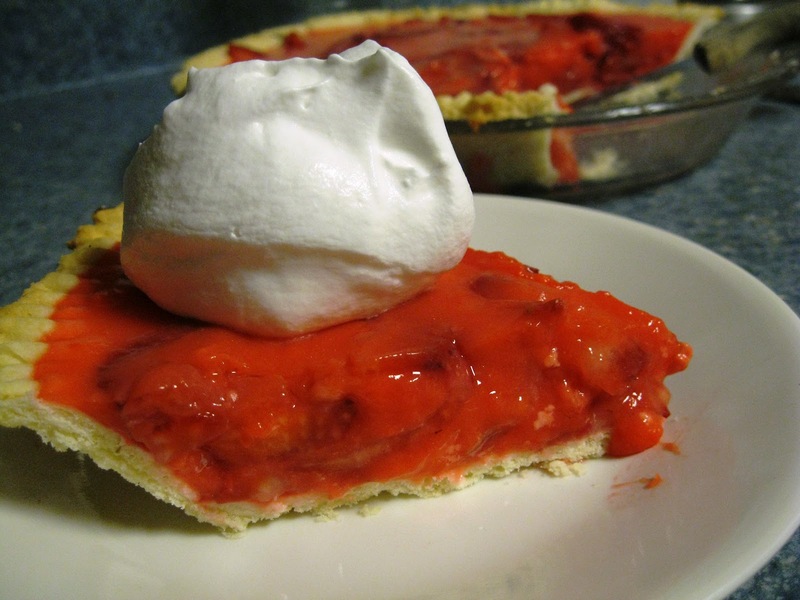 Slice and arrange Strawberries in pie shell Or wash , hull and leave strawberries whole. Pour cooled mixture over the berries. Chill until set (several hours) serve with sugar free Cool Whip.